Discover how to incorporate sound environmental considerations into traditional site design processes. Written by a licensed landscape architect with more than 20 years of professional experience, this authoritative guide combines established approaches to site planning with sustainable practices and increased environmental sensitivity. 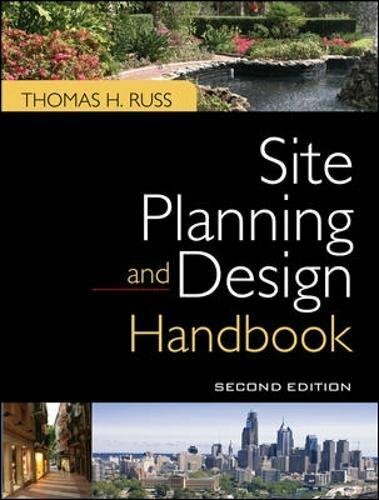 Fully revised and updated, Site Planning and Design Handbook, Second Edition discusses the latest standards and protocols-including LEED. The book features expanded coverage of green site design topics such as water conservation, energy efficiency, green building materials, site infrastructure, and brownfield restoration. This comprehensive resource addresses the challenges associated with site planning and design and lays the groundwork for success.